The Welsh capital of Cardiff, nestled in the south-east of Wales, boasts a strong sporting legacy, distinctive cuisine and plenty of interesting attractions. It is the buzzing cultural epicenter of Wales and there is a thriving music, theatre and arts scene in the city. It’s also gaining more and more recognition as a city with a formidable reputation for food and there is a wide range of restaurants in the compact city centre. You might not know that it’s one of the UK’s flattest cities and enjoys more hours of sunlight than Milan! Cardiffians are friendly, proud people who love their city to bits and are happy to show it off to anyone interested – you’re sure to receive a warm welcome! Here are 5 essential things to see and do in Cardiff. The recently regenerated Cardiff Bay is home to a number of fine buildings including the National Assembly Of Wales which is constructed out of traditional materials such as Welsh slate and oak. 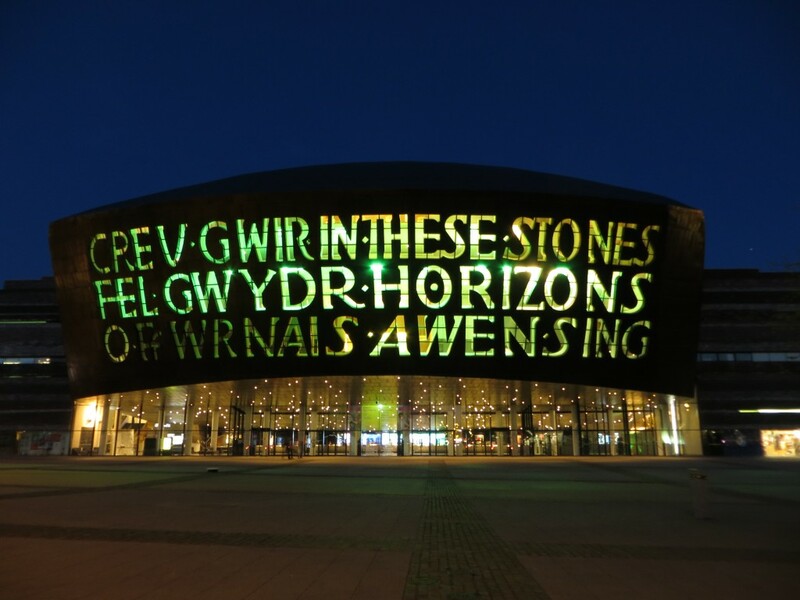 Next door is the Wales Millennium Centre, which boasts an impressive bronze facade and contemporary interior. It hosts opera, ballet, dance, comedy and musical performances every night of the week. A total of 8 arts organisations are in residence. Aside from the lively schedule, there is also a bar and restaurant located in the building. 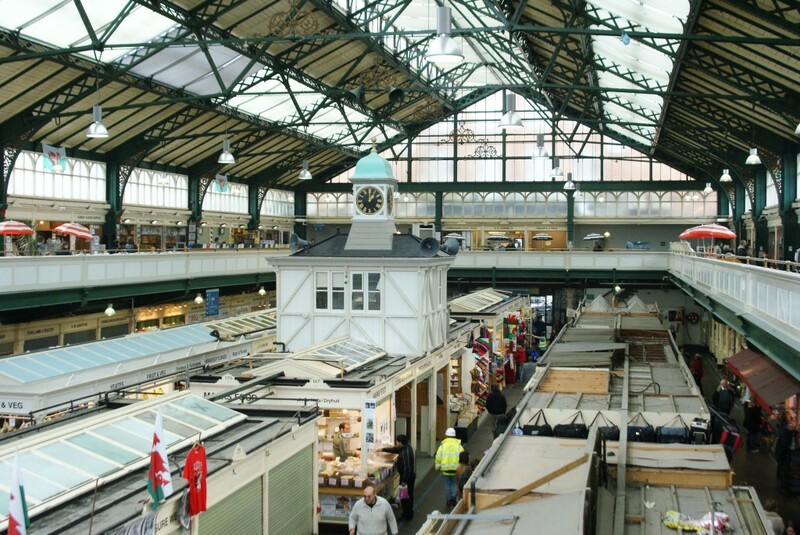 Housed in a grand Victorian hall on St Mary Street in the city centre is Cardiff Market, one of the best markets for food and fresh produce in the city. Cardiff Market has been trading in various guises for over 400 years and there’s plenty of history in this fine example of Welsh-Victorian architecture. Underneath the striking glass roof, traders offer all kinds of tasty and interesting products. You’ll find stalls selling records, electrical goods and clothes nestled amongst the city’s best-loved butchers and fishmongers. The various bakeries in the market serve freshly made Welsh cakes as well as homemade pasties. The market also boasts several cafes as well as sandwich and sweet shops. We recommend you hunt down a pie from Cardiff’s legendary pie company Clark’s Pies, available at several of the bakeries. Founded over 100 years ago, Clark’s Pies are revered by Cardiffians and are a favourite snack for football fans heading to the nearby Millennium Stadium. A lunchtime visit comes highly recommended. There are several Victorian shopping arcades in Cardiff which offer intimate shopping environments for shoppers. 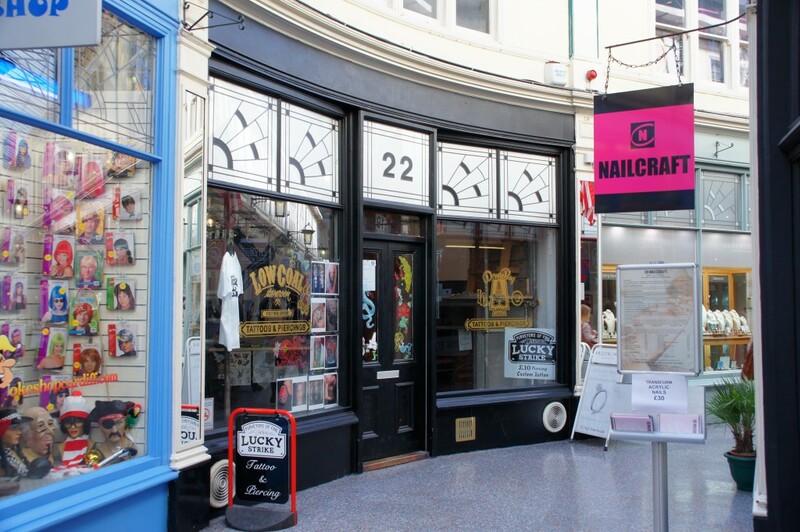 One of these historical relics, Morgan Arcade, is home to several fine shops including Spillers Records. Wales’ music scene is in rude health as ever (check out Y Niwl, Race Horses and future of the left) and to many Spillers Records represents the beating heart of it.To many, Spillers Records represents the beating heart of the Welsh music scene. Spillers can lay claim to being the oldest record shop in the world and inside you’ll find all your favourite albums alongside special releases and signed memorabilia from Welsh bands, t-shirts and Spillers souvenirs. The shop often hosts live acoustic performances and one-off events for Cardiff’s keen music fans – keep an eye on their website for upcoming events! Waffle Café, located in the Canton area to the west of the city centre, is home to the best homemade waffles in South Wales. Visit Waffle for the tasty banoffee waffles, fresh smoothies, good coffee and the secluded garden area. It’s worth hunting down this cosy Cardiff cafe as the food and drink is reasonably priced and always served with a friendly smile. Recently, the café hosted an exhibition celebrating 30 years since the formation of legendary Welsh-language band Datblygu – Waffle is run by the sister of one of the members of the band! Chapter Arts Centre has been at the heart of Cardiff’s cultural scene for over 40 years. This ambitious arts space hosts a range of cultural highlights including art exhibitions, live musical performances and films as well as acting as a social space for the city’s art, music and literature loving community. Chapter proudly supports homegrown talent and it’s the perfect platform for Welsh artists to showcase new works, ideas and performances. A busy programme of events means there’s always something to see and do at Chapter – it’s perfectly suited to dropping in to see what’s on. The centre also has it’s own cafe-bar which has won several awards for the quality of food and drink on offer. You can find the Chapter Arts Centre on Market Road in the same area as Waffle Cafe – Canton.